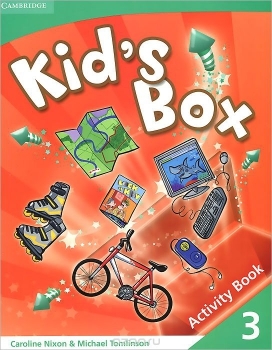 Описание Kid s Box is a six-level course for young learners. Bursting with bright ideas to inspire both teachers and students, Kid s Box gives children a confident start to learning English. It also fully covers the syllabus for the Cambridge Young Learners English (YLE) tests. This Activity Book covers all of the target language from Pupil s Book 3, providing further practice in a fun context. Level 3 begins the Movers cycle (CEF level A1).